Venetian lace feather eye mask is Made out of a durable lightweight molded plastic covered in lace & adorned with feathers . Can be worn with black ribbon ties. 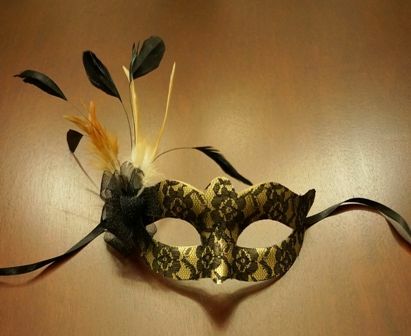 Great for your next venetian or masquerade ball.